Building A: 19,500 square feet. 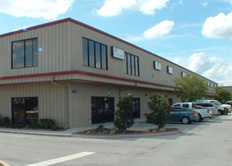 Split into 13 units, with one tenant occupying 6,000 square feet. Building B: 3,000 square feet. Presently shell space as it was not fitted out into × 1,500 square feet of flexible space. Building C: 18,000 square feet. Split into 7 × partitioned 1,500 square feet flexible spaces, and 1 × 7,500 square foot open space. At purchase there are 8 tenants occupying 33% of the available space. This is indicative of a property being acquired as a foreclosure from the bank, with foreclosure sales notoriously poorly managed.